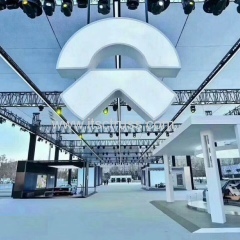 Multipurpose trusses rigging is widely used in led display structure, speaker sound wing towers, decoration solution events,advertising events,ect. 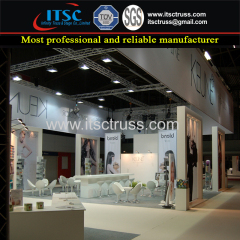 And many designs and customized trusses are in stock for your quick demand! 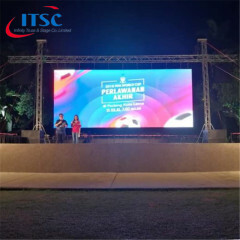 More and more LED screen are aplied in all kinds of events, and many trusses kits are welcome for different size of screen in rental business. 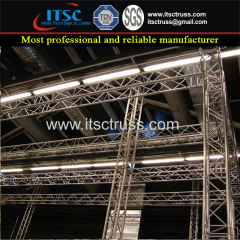 Lighting trusses is a rigging support to hang your stage lighting or sit your fixtures. 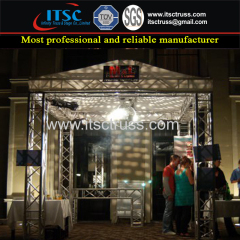 It is applied in DJ, events, concerts, media, TV studio. ect. 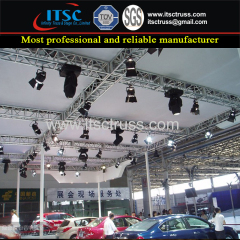 Aluminum Truss Segments can be also applied in the supper cars, and provides integrated power of display. 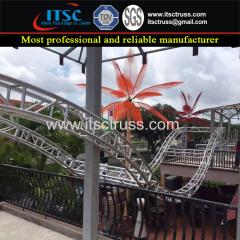 Outdoor Semic Circular truss with special shape truss legs for decoration in venue park. 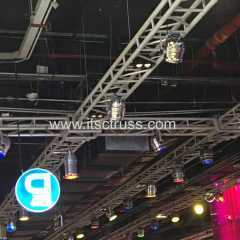 Lighting trusses and be hung only as flow trusses to install the exhibits for decoration in some way. And the trusses can be colourful for design. 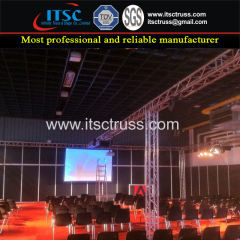 Lighting trusses can be applied in all kinds of trusses kits, exhibits booths, trade show events,ect. It is flexible to make any designs for goods. 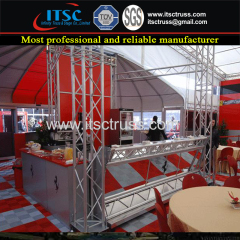 Lighting truss is also used in the outdoor park projects just for decoration or rigging events. Arc trusses would be much more remarkable. 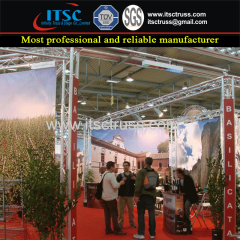 Installing indoor ground supported trusses rigging system for big events in gymnasium for school or big companies. 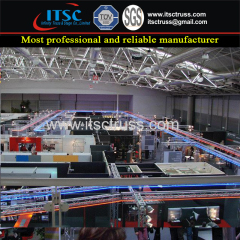 Lighting truss suppliers. 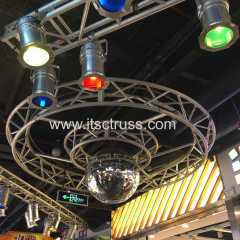 Lighting trusses is applied in the display and exhibits booth which is also named trusskits. 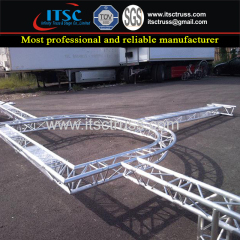 It is with light weight trusses 290x290mm or 200x200mm. 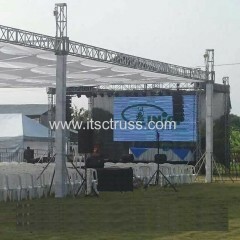 Lighting truss rigging for gymnasium, seating system lighting trusses, indoor trusses system. 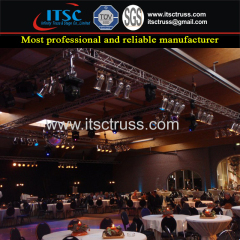 Group of Multi-purpose Trussing has been presented above, want more	Multi-purpose Trussing and LED display lighting truss, sound truss towers,deco truss, Please Contact Us.